As a follow-up to my post, ‘The Desperate Need for ‘Citizen Training’ in Our Republic’, I met with three of my elected representatives: California State Senator Mike Morrell, Riverside County Supervisor Marion Ashley, and California Assemblywoman Melissa Melendez. I’m also in contact with the office of Congressman Ken Calvert, and Riverside County Sheriff Stanley Sniff (more on my encounters with Sniff’s office later…ahem). The proximate reason for my meeting with my elected representatives was to fulfill a requirement of a citizen training class I’m attending that is put on by the Center for Self-Governance, along with my ongoing objective of interviewing people in politics, business, education, religion, the arts, etc. as part of a series of ‘Things That Promote Human Flourishing‘ posts I’m planning for the future. Morrell, Ashley, and Melendez were all interesting, engaging people who shared some common themes as to how they came to public life, along with some unique circumstances. 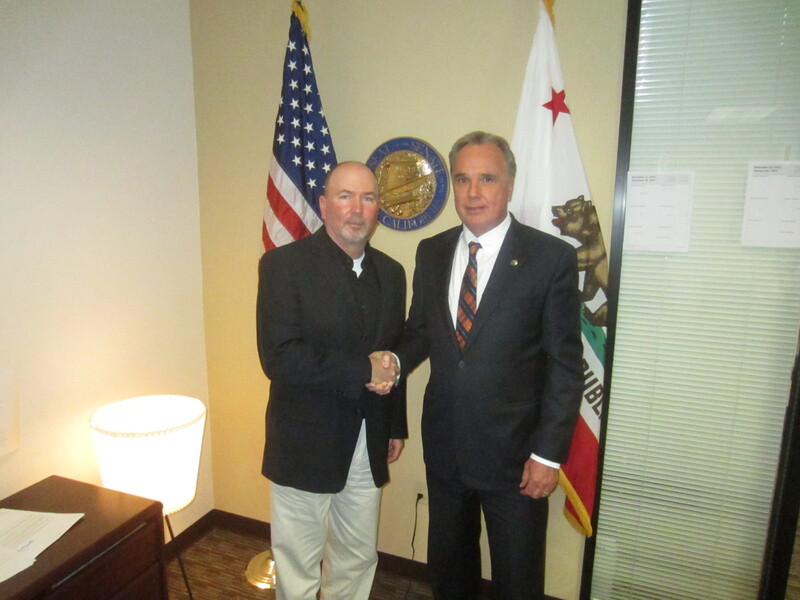 First up, Mike Morrell: I interviewed Senator Morrell in his office in Rancho Cucamonga, California. Morrell’s staff was courteous and prompt in returning my phone calls and e-mails, and Morrell was punctual. I asked Morrell for a certain amount of time for the interview, and I ended up spending 4x the amount of time with him I originally asked for. Morrell spoke of his appreciation for and friendship with Dr. Larry Arnn, President of Hillsdale College, a beacon for those who hold a high view of the Constitution and love liberty and its built-in blessings. Morrell also said one of his sons is studying under noted author, professor, and raisin farmer Victor Davis Hanson. Morrell spoke of the need to improve the business climate in the State of California, pointing out California ranked 50th (dead last), the worst state in the nation to do business in. I asked Morrell how he prioritizes his work, and he spoke about how Ronald Reagan was a “pretty smart guy” who could’ve involved himself in any number of important things, but who chose to focus his presidency on three big things: defeating Communism, improving the economy, and leaving his mark and influence on his political party and the nation. In keeping with Morrell’s emphasis on ‘foundation’, his face lit up when he described his intern program and talked at length of how proud he was of the number of young people (high school and college age) who were taking part in it. Finally, Morrell spoke about how pleased he was to have the opportunity to attend events that recognized and honored veterans. Morrell described how moving a particular occasion was for him when a large group of veterans broke out singing patriotic songs. Next, Marion Ashley: I had to jump through some flaming hoops and have a few communication events and re-schedules, (in fairness to Ashley’s staff, the time of the interview was in the holiday season) but in the end, I was finally able to meet with Ashley at a local restaurant as he was out and about on business. Wisely, I thought, one of Ashley’s assistants called me and met with me at the restaurant before Ashley arrived. In this day and age, you never can tell, right? The interview went just as I had hoped it would. Ashley spoke the majority of time and his description of his life as a businessman prior to his entering public life was detailed and interesting. I spent 10x more time interviewing Ashley than what I had asked for. Interviewing Ashley was like opening up and examining the contents of a chock-full-of-information time capsule (he was born in 1935), from the days of World War II to the present time. Ashley spoke of how his long business career and life experiences prepared him for public life. He had worn many hats in the business world, including Chief Operating Officer and Chief Financial Officer and even did a brief stint in Bermuda (joking how he really “suffered” on that assignment). Ashley then detailed his experience as a member of the Board of Directors of a water municipality that provided drinking water and wastewater treatment in a service area of 540 square miles during a time of rapid population growth. Finally, Ashley spoke of his being elected to the Riverside County Board of Supervisors and his approach to addressing the unique problems facing his constituents, including long commute times/quality of life and the concomitant need to upgrade local roads and add additional lanes to freeways, along with attracting more businesses in the area to create local jobs and ensuring a reliable, high quality water supply. He shared how he was able to use outside expertise to wring out inefficiencies in the county hospital system in order to maintain quality patient care while controlling costs/tax rates. In short, Ashley carries out the unsexy, out of the limelight sort of thing most people want their public servants to be doing: filling in the potholes, trimming the trees, focusing on public safety, and ensuring the county infrastructure is in sound shape and ready for the future. As an aside to infrastructure, Ashley allowed himself to speak proudly about a large, state of the art water park/swimming pool complex that was recently completed in a low-income area of his service area (summer temperatures can be well north of the century mark for consecutive days), along with the creation of local parks and athletic fields for public use. 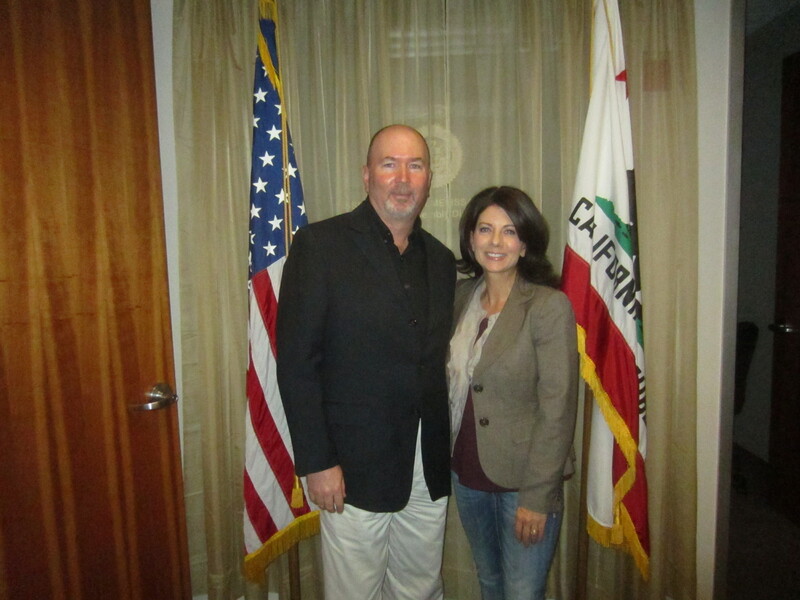 Next up: Melissa Melendez: After a couple of communication hitches-in-the-get-along (again, most likely related to the holiday season), I was able to meet with Assemblywoman Melendez. Melendez is a veteran of the United States Navy, where she also met her husband (while visiting the Pearl Harbor Memorial in Hawaii). 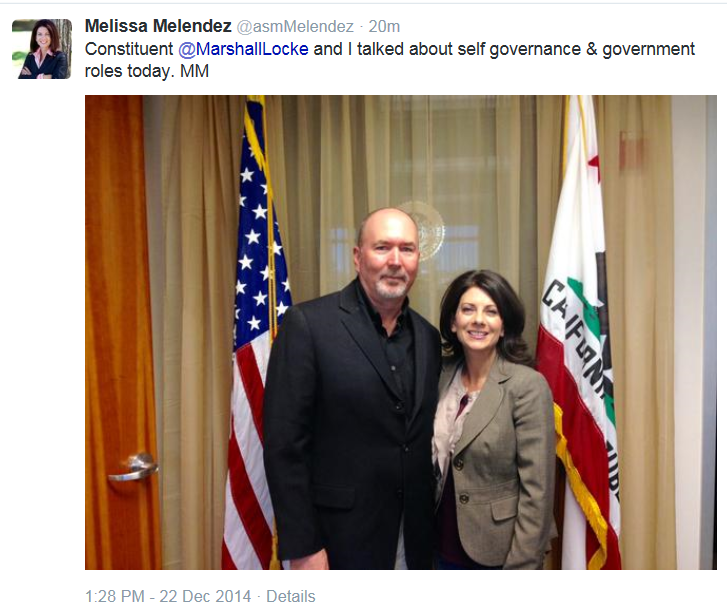 Melendez started her public life as a city council member for the City of Lake Elsinore. She said she wasn’t really thinking of running for office beyond that, but then some of her friends encouraged her to run for the Assembly seat and she won. While she arrived a tad late for our appointment, she gets a pass because the meeting was arranged on short notice and when she arrived at her office she had several of her kids in tow (she’s a working mom). Melendez talked of everyday mom things like the apprehension she had of her oldest child taking his Department of Motor Vehicles driver’s test (he passed). Melendez then got into the meat and potatoes of her job and talked about her perception of there being “two worlds” between Sacramento and her home Assembly district. She spoke of how rewarding it was to be of service to her constituents and of how frustrating it could be while attempting to reach across the aisle to pass legislation for the common good. 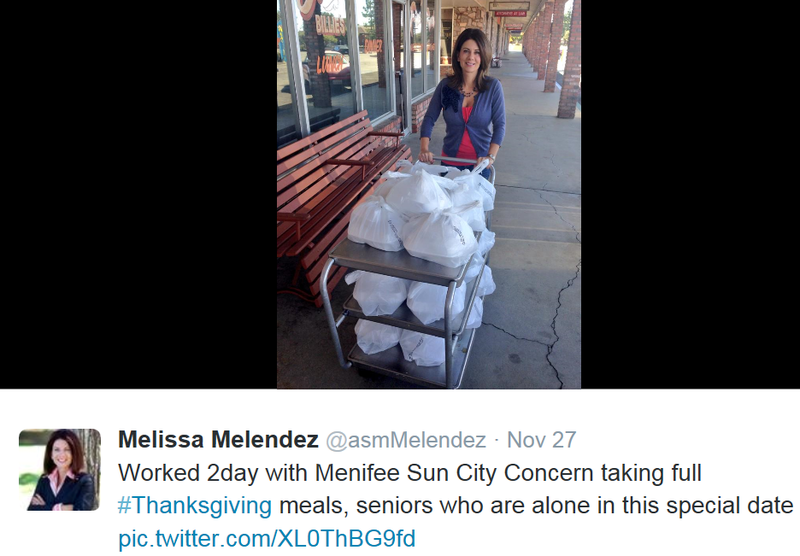 And of course, being a veteran, Melendez is right on top of her game in making sure those who serve or who have served in uniform are recognized and honored for their service. Well done. Melendez (like Morrell) stated that California is ranked last as a place of doing business, and spoke of efforts to reverse that trend. Melendez said she grew up in a politically divided family, where her parents would regularly go back and forth and agree to disagree on the political issues of the day. In similar fashion, she encourages open dialogue within her own family, and emphasized she tells her children to respect those who disagree with them. As previously stated, I contacted Congressman Ken Calvert’s office and as a result am left with mixed feelings. During a recent phone conversation with someone in Calvert’s local office in Corona, California, I was then handed off to another one of Calvert’s office assistants (who shall remain unnamed) who sounded entirely unenthusiastic about the prospect of a congressman meeting with one of his constituents. She then attempted to brush me off by suggesting I contact people in a nearby city (after I explained to her I needed to speak with an elected official who represents me), so that was a little off-putting. I’ve e-mailed Calvert’s people and am currently awaiting their response to set up a face-to-face meeting between myself and Calvert. Which brings us to Riverside County Sheriff Stanley Sniff’s office. Edward Peruta is a private investigator who was denied a Concealed Carry Weapon (CCW) permit from the Sheriff of San Diego County, so he filed a lawsuit against San Diego County, which wound its way up to the Ninth Circuit Court. 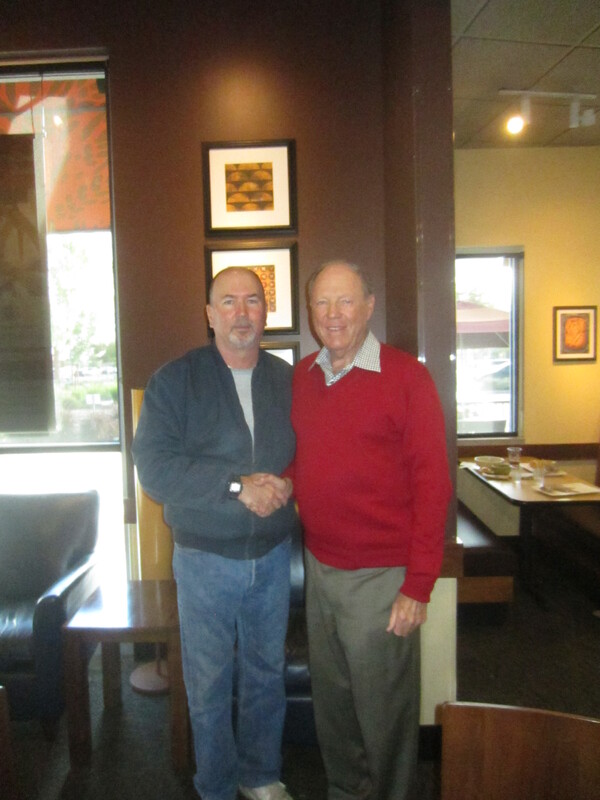 The same day the Ninth Circuit Court decision was announced, I phoned Edward Peruta, the man who initiated the case against the County of San Diego. The first words out of his mouth were, “I’ve only got one question: Will I be at the front of the line, or the back of the line” (referring to when he would be able to get his CCW permit). Two days later, on November 14th 2014, Sheriff Sniff’s office put out this press release on the November 12th 2014 Ninth Circuit Court decision. Sheriff Sniff’s press release was intending to be subtly Orwellian but ended up being ham-handed, clumsy, and absurd. This response from the Calguns Foundation provides the particulars of Sniff’s overtly contradictory statements on the Ninth Circuit Court’s decision. So there’s the setup…now time for you to know of my conversation with Sheriff Sniff’s Public Information Officer (PIO), who shall, ahem, remain unnamed. In my 29 years of public service, I’ve tangled with some real tater-heads, but Sheriff Sniff’s PIO takes the biscuit. My phone conversation with Sniff’s PIO lasted about 10 minutes, and throughout he was a marvel of combativeness, evasiveness, insults, and non-responses. 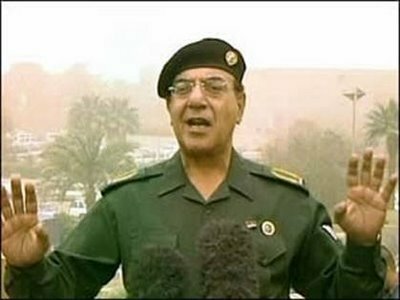 I was left wondering if Sniff’s PIO studied under ‘Baghdad Bob’, Iraq strongman Saddam Hussein’s spokesman during the Iraq war who became infamous for making ridiculous and nonsensical pronouncements, like American forces were being annihilated by superior Iraqi forces when the whole world knew that not to be true. As previously stated, I am in contact with Sheriff Sniff’s office, attempting to set up a brief face-to-face meeting with him. In conclusion, I give a solid thumbs-up to California State Senator Mike Morrell, Riverside County Supervisor Marion Ashley, and California Assemblywoman Melissa Melendez. Congressman Calvert is a wait-and-see. Riverside County Sheriff Stanley Sniff is also a wait-and-see, but judging from his ridiculous press release and the quality of his PIO, I’m not sanguine about what I’ll find. But I hope he surprises me.